There is a taboo about using touch as an intervention in psychotherapy. In Healing Touch, Dr. Aline LaPierre proposes that this taboo is largely due to a lack of somatic understanding and to what she calls “touch illiteracy.” The fear of touching clients expressed by professionals in the mental health field has obscured the need for specialized training that can educate therapists who want to include touch in their repertoire of interventions. 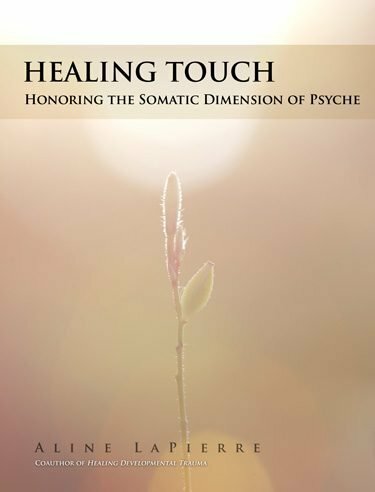 The exploration of touch undertaken in this ebook is based on the premise that splitting the causes of disease into either somatic or psychological origins leads to an impasse. Following the current developments in psychobiology, the body is seen as an environment for energy transduction with an uninterrupted chain of communication moving in reciprocal loops bottom-up from nonverbal micro-levels of the body and from top-down verbal, cognitive awareness. Touch is explored as a tool that supports the integration in awareness of issues that lie encoded in nonverbal body memory. Dr. LaPierre focuses on nurturing touch as intrinsic to all other forms of healing touch and present three session examples of the use of touch in the therapeutic relationship.